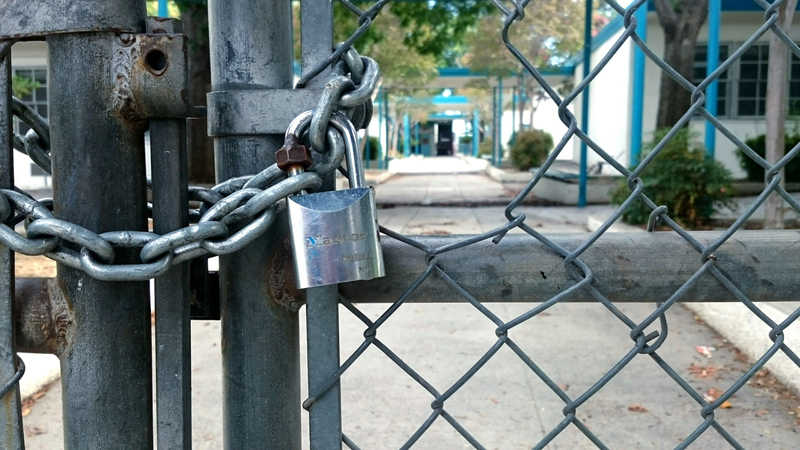 Barriers to a good education: what holds us back? Poverty and a lack of quality education are locked in a vicious cycle. While education can help to combat poverty, many children are constrained from receiving an education precisely because of their impoverished backgrounds. According to UNESCO, low and middle-income countries consistently show that children from poorer households, ethnic minorities or rural areas are significantly less likely to make the transition from primary to lower secondary school and from lower to upper secondary school. They are also more likely to be delayed in their progression through grade levels. Poverty adversely affects young people on multiple levels: good quality learning resources are seldom affordable and are therefore inaccessible, and poor nutrition can cause impaired cognitive and physical development. Children from impoverished backgrounds can also suffer in terms of language development. In her book Educating the Other America, Susan Neuman states that “children who are poor hear a smaller number of words with more limited syntactic complexity and fewer conversation-eliciting questions, making it difficult for them to quickly acquire new words and to discriminate among words.” The latest PISA report found that the number of young people from impoverished backgrounds miss school four times more than their peers who come from more well-off backgrounds. Mental health disorder is a term used to describe any condition that disrupts a person’s mood, thought or behaviour, often for long periods of time. Depression, anxiety, panic attacks and eating disorders are all common mental health issues. Research shows that roughly 20% of the world’s children and adolescents suffer from mental health problems. In 2016, it was reported that one in fivechildren in the US suffers from a mental disorder in a given year, while in the UK, teachers across the country have reported that students as young as four years old are suffering from depression, panic attacks and eating disorders. The good news is that with early intervention and help, most can overcome these difficulties successfully. Causes of mental disorders can vary, but stem from parental problems, media and cultural pressure and examination stress. The most common barriers to finding appropriate support are considered to be a lack of capacity in an already small number of local services coupled with strict budget constraints. Differences in gender perceptions and bias in education – particularly within STEM subjects – has been a cause of concern for educators for a while now. Girls grow up surrounded by social and cultural perceptions that tend overwhelmingly to promote low self esteem and doubt of their own capabilities. Stereotypes associated with girls and technology – such as the idea that girls can’t code, or that boys are better at science and maths – affect female students at an early age. Research now shows that girls as young as six associate men with brilliance, while a recent OECD report showed that gender differences don’t disappear, even in the best-performing students of advanced levels. Again, teachers are hugely influential when it comes to promoting STEM amongst their female students and encouraging them to take on more leadership roles at an early stage. In no other place is the importance of education more prominent than within conflicted and war-torn countries. Education is key to a country’s progress, but in war zones it also provides hope for the future of that country by way of conflict resolution. Education can also provide much-needed stability to those within conflict zones. Malala Yousafzai is just one example of the many young people struggling to educate themselves in conflict-ridden countries, where attacks on education are common. Unicef released a statement saying that “More than 25 million children between 6 and 15 years old, or 22 per cent of children in that age group, are missing out on school in conflict zones across 22 countries,” and other figures show that just 2% of humanitarian aid is dedicated to education. A similiar plight is also faced by refugee children who struggle with serious issues of displacement, poverty and trauma. Several organisations, such as Human Rights Watch and the World Economic Forum, have since written about steps that countries and donors can take to secure more educational opportunities for refugees from war zones. The term “learning difficulty” is used to define a huge number of neurological conditions that impair or affect the ability to process information and acquire new skills. Children can live with learning difficulties such as dyslexia, autism, ADHD or ADD, but should this affect their right to a good education? Absolutely not. Despite persistent stereotypes, people with learning difficulties are often incredibly brilliant in a particular skill. Some of the most famous and talented people have learning difficulties. Olympic champion swimmer Michael Phelps has ADHD, and used his love for swimming to help him focus, Ikea founder Ingvar Kamprad has dyslexia, and both Isaac Newton and Albert Einstein are believed to have lived with Asperger’s Syndrome. The Mental Foundation estimates around 286,000 children below the age of 18 in the UK have a learning disability. While there is no guarantee that kids with learning difficulties will attain fame and fortune, they should still be able to receive a good education. The first step is to obtain a diagnosis: each learning difficulty is different and needs special support. Patience, too, is vital: children with learning difficulties often act out due to confusion, frustration, or simply not being able to focus – but shouting, punishing and criticising will only ever make matters worse. It is important to allow children with learning difficulties time and space to learn at their own pace. Educational films and games are invaluable here, as they allow young people to improve focus by actively engaging with the content. They can adjust their pace by rewinding, fast-forwarding and pausing as and when they need to.